Zero-gravity 3D printing is already operating on the International Space Station, but it can only crank out dinky pieces of plastic. Russian engineers think their space printer can do better—by creating viable replacement parts for the station on the station. 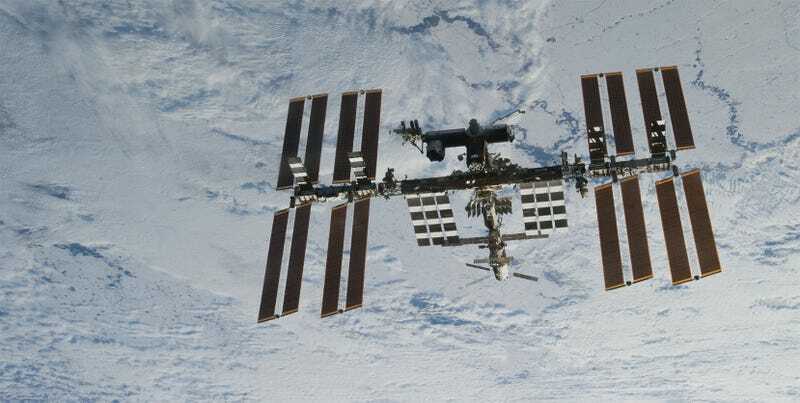 The benefits of the ISS being able to build its own spares are obvious; cost and time of replacing worn components would be drastically reduced, thereby potentially extending the station’s viable life. It might even prevent catastrophe if a critical but replicable part fails. The station’s current 3D printing capability includes making parts out of lightweight ABS plastic and a slightly more robust “high-density polyethylene and polyetherimide-polycarbonate composite,” explains Engineering.com. That might work for tiny interior parts and test-fit models, but astronauts need something stronger for hard-wearing bits. That’s exactly what Sputnix and Anisoprint, two companies from Russia’s Skolkovo technology park in partnership with the Moscow Polytechnic University, are trying to accomplish. The Sputnix/Anisoprint device works by feeding strands of carbon fiber, a strong and lightweight material we see performance cars made with, into plastic as it’s being 3D printed. The resulting products are said to be ten times stronger than standard plastic. As it stands the Russian engineering partnership’s technology is still in a testing phase. As of last month, they were planning to test the printer and things it can make against a range of temperatures, vibrations and gravity levels. If those evaluations go well, the team will start working out how to get their gear to the ISS itself to operate on the Russian sector of the station.